While the 2014 Oso mudside got all the attention, a smaller slide destroyed one, maybe two, historic beachfront cabins on Brighton Beach, Whidbey Island, which shares historic roots with the city of Snohomish reaching back to the 1890s. 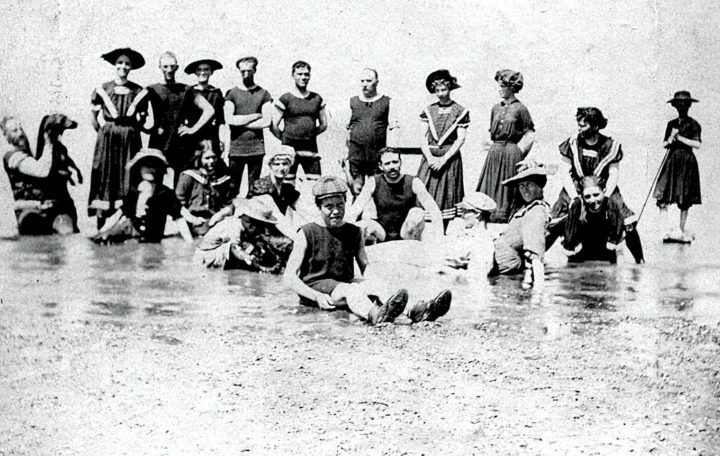 The photo above is from the Ferguson family album documenting their summer days at the beach. Let’s revisit a story I wrote in August 2009, about going down-to-camp. Frances’s story reveals another wonderful fact about our famous Blackman brothers: they had an older sister, Mary Ursula. 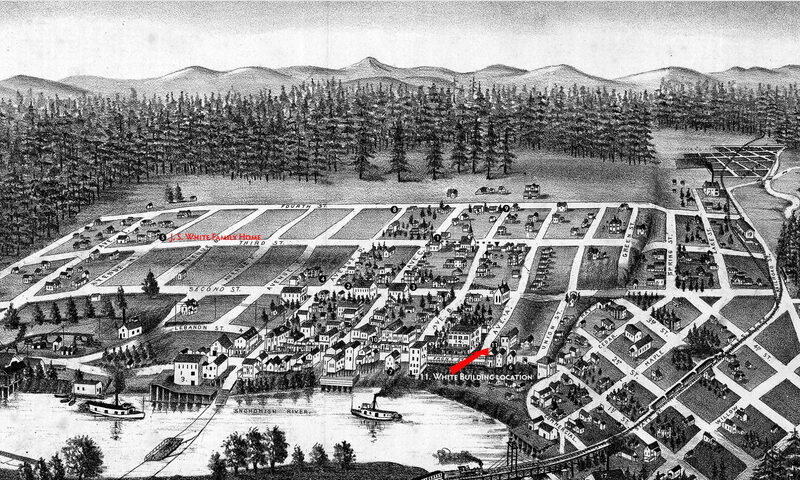 With her husband Eugene and their son Elmer, the family arrived in Snohomish around the same time as Nina. Trained as a civil engineer, Elmer landed a job immediately as the city and county surveyor. Next, Elmer met and married Sylvia Ferguson, Emory and Lucetta’s eldest. With the birth of their only child, Norman, the Lenfest family eventually out grew tent camping and built a cabin on the beach around the time their son turned eight. Brighton Beach at Clinton, Whidbey Island, 1914. Several tents are visible in this image, which is how the habitation of this summer place began. Off the left hand frame are the cabins of the Blackman Families, still in use though expanded and updated over the years. The first structure in view on the left is the Lenfest Cabin, built in the early 1900s by Elmer and Sylvia. Elmer was the son of the Blackman sister, Mary and Eugene Lenfest; while Sylvia was the first daughter born to Emory and Lucetta Ferguson. In the center, is the cabin built by the Morgans, Lucetta’s parents, currently owned by descendants of the Bakeman family. 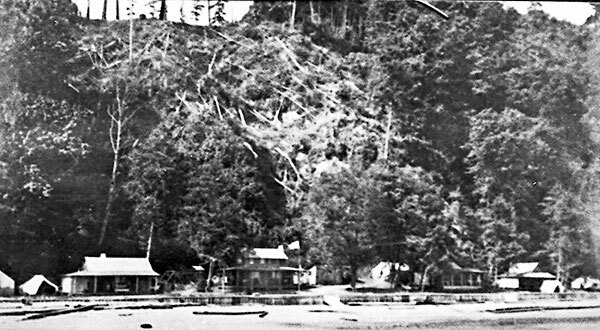 The image documents a dramatic slide of the hillside behind the cabins, one of many through the years. Online: “Clinton landside claims another Brighton Beach cabin.” Includes close-up image of the Wood family cabin. Previous PostPrevious More Decorated Bikes and Less Boom! Boom! Booms!